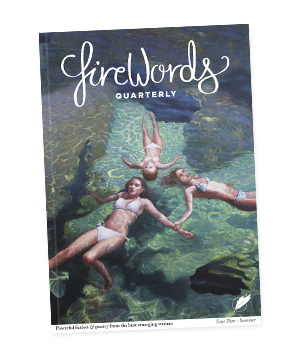 Firewords Quarterly accomplishes the extraordinary feat of gathering a cacophony of original voices under one title. Each writer featured is very different from the next. This is especially impressive when you consider they have been able to piece these voices together, like some kind of literary jigsaw, into a refreshing little magazine. Even the feel of the booklet lets you know that it’s something special. Inside the magazine, the carefully plotted layouts instantly grab your attention. The illustrations (some hand-drawn some produced digitally) are as varied as the writer’s voices. Reading Firewords is an education in the types of stories that are up-and-coming right now. Like any literary magazine its aim is to update readers on the state of current and emerging writers. Firewords achieves this with a lively mixture of short stories, flash fiction and poetry. The short stories form the focus of the magazine, with other pieces fitted around them. There doesn’t seem to be any one uniting theme, which is part of the magazine’s charm- refusing to adhere to the current obsession with themes that many literary publications hold dear. The two stories given the most space are: Five Seasons by Malene Huse Eikrem and The Man of Harim Province by: Peter Davison. They are both enjoyable, but I preferred the grim descriptive passages of Five Seasons; to the Murakamiesque The Man of Harim Province. The latter story is an ironic look at a bizarre ideal world, but it is quite difficult to feel a connection with. Maybe I’m just a pessimist but I preferred the outright Nordic Noir atmosphere found in Five Seasons. Five Seasons is a fascinating and piercing look at real life, though through fairly surreal glasses. However The Man of Harim Province does have some great one liners. The other highlight of the magazine is the “Short Short Stories” section. This section does have a theme, in the form of a writing prompt (the prompt was: “As the lights went out everything changed”). The short short stories have their intensity multiplied by their brevity. The idea behind short shorts comes from the current craze for flash fiction. Flash fiction tends to borrow features from poetry, quotations and short stories. It has also been linked to twitter and other social networking sites where brevity is essential, and has become a huge part of our daily lives. In the Short Short Stories section of Firewords I especially enjoyed the story My Evil Twin by Alison Wassel. Wassel writes with a mythical slight on the modern world. Her short short is powerful enough to get her imagery stuck in your brain for several days after reading it. Overall the design and content of Firewords Quarterly is engaging and in parts even beautiful. I look forward to the next issue, which will hopefully maintain the wide, but eclectic, range of fiction in this issue. Buy yourself a copy here. Sarah is a self-educated journalist, writer and artist, who creates from her shed in a northern village of the UK. Sarah has been experimenting with various forms of writing over the last few years. Recently she has been writing a lot of arts-orientated journalism for The Guardian, The Journal, Luna Luna, Sabotage Reviews, Screenjabber and essays on female artists for The Bubble. 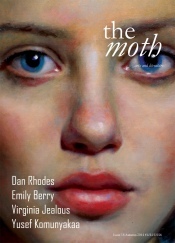 She is also working with Survivors Poetry and one of her poems was chosen as their ‘Poem of the Month’ in July. Under the pseudonym Azra Page, Sarah has published two collections of autobiographical pieces: Catharsis and Dull Eyes; Scarred Faces. Carolyn Jess Cooke published several of Sarah’s poems for her blog “On Depression”. Sarah also writes plays which are going through the development process of being performed at scratch nights.